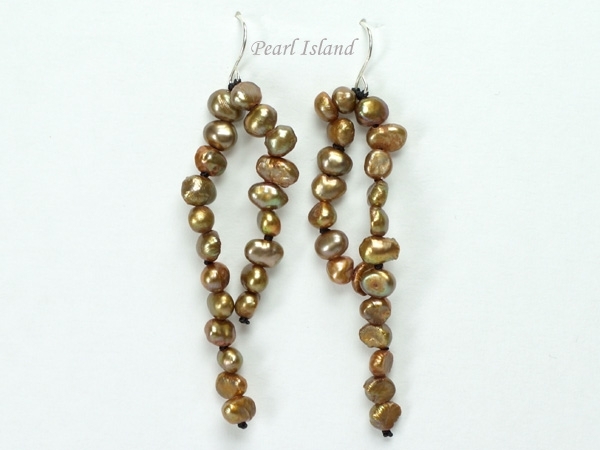 Miniature Brown Freshwater Baroque Pearl Earrings - Small Chinese freshwater baroque pearls. Five or six rows. 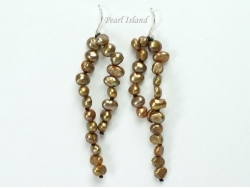 Can be twisted or loose to create a different look.